Gah, we’re already in October. Whaaaa…? I feel like this year has just flown by. Here are a few of the projects I worked on in September along with some things I’m wrapping up for Fan Days! Back in August, a local cosplayer contacted me about making the fabric bits for a Steampunk Dorothy at Fan Days, based on this Tonner doll. This wasn’t too difficult of a project, but did require some drafting skills. For the blouse, I turned to a pattern I used in the past: New Look 6244. I used this dress for my Inara costume a few years ago. My client is a bit larger than me in the waist, but shares my chest and arm measurements, so it wasn’t too much of a stretch to get this to fit properly. I hacked the pattern off at the hips to turn it into a blouse, slashed and spread the appropriate pieces, and added sleeves from Simplicity 2813. I wanted to keep this blouse as comfortable as possible (given the layers this client will be wearing), so I cut it on the bias, which means no zippers! The only issue with that was the arm part of the sleeve got twisty, so I hacked it off and made arm bits out of spandex. The rest of the blouse is made of peachskin with netting in the sleeves for a bit more volume. The skirt is made from a modified Butterick 6196 skirt. I took 3 panels of the skirt, hacked them off at the knee and swapped out the regular waistband for an elastic one (again, comfort). The seams all have 3/8″ elastic in them to create loose gathers, and I created ruffles for the bottom of the skirt on my serger. Gathering on my serger was a new technique, but I’m really happy with how it turned out! My client is coming over for a fit test this weekend, then this project will be wrapped up. Can’t wait to see her with all of her other pieces! Pants before I added the waistband. This commission is also for Fan Days. One of my old high school friends asked if I could make a Deadpool for him, but more grounded in reality. Kind of Christopher Nolan-esque. Our first task was to ditch the spandex bodysuit and swap it out for cargo pants and an Under Armor-style top. 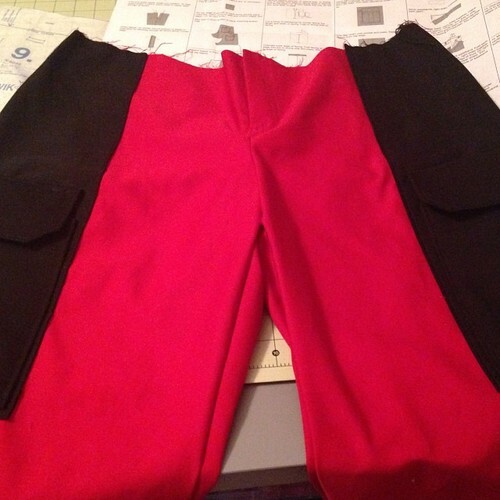 I used Kwik Sew 4045 as a base and topstitched black twill on red twill to get the effect he was looking for. 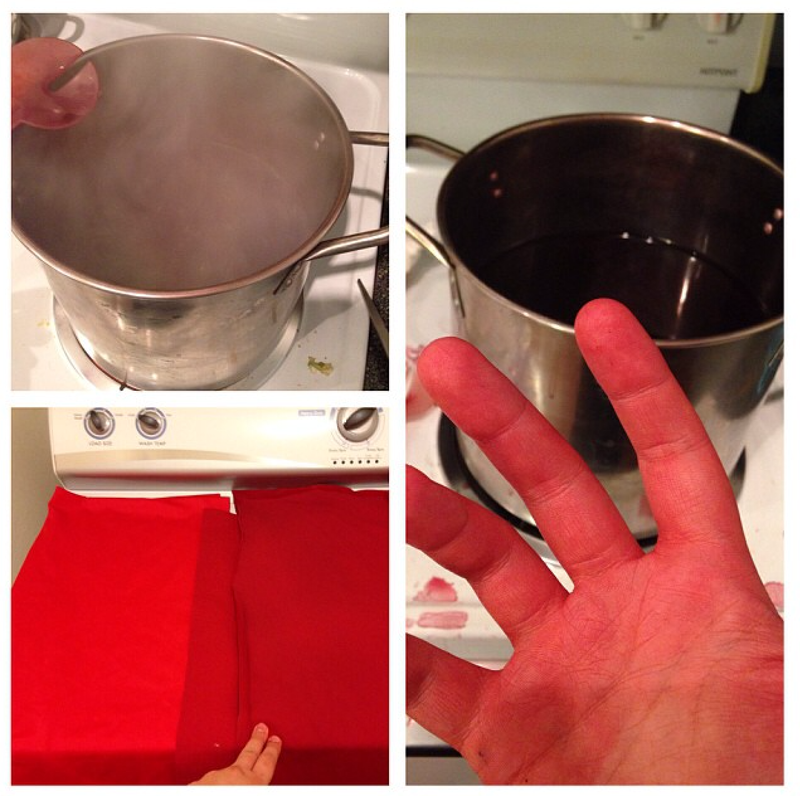 Stovetop dyeing. Not to be confused with dying. The spandex for the top was a nightmare. My go-to spandex shop didn’t have what I was looking for, so I turned to my back-up: Spandex World. FedEx wound up losing my order, so I went through a two-week ordeal trying to get a reshipment. Fortunately, Spandex World is awesome and replaced my order as soon as they could, but I only got it in at the end of last week. Turns out, I should have ordered a swatch, because the color was a bright, almost orangey red. In a last ditch effort, I tried dyeing the spandex, and it actually worked! I’m in the process of wrapping up the top and mask, then this project will be done. Photo by Aperture Ashley, who was kind enough to give me some BA Binary powers! 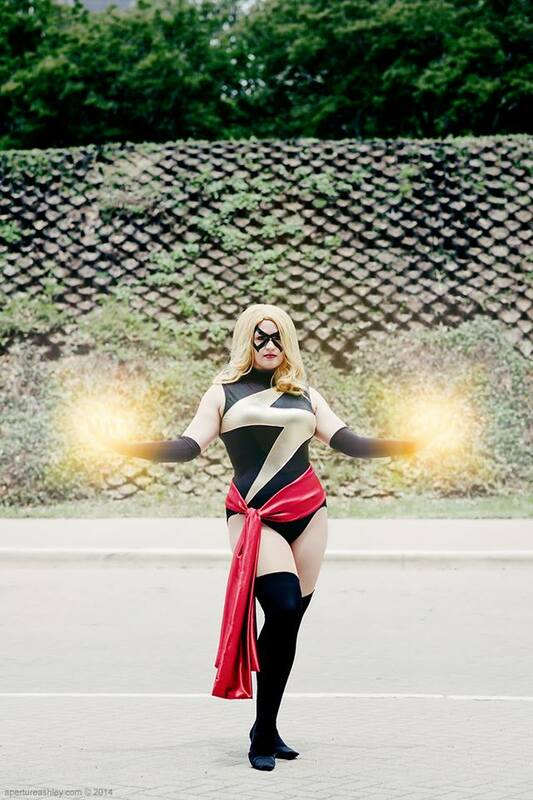 I’m also planning to touch-up my Ms. Marvel for Fan Days and hopefully enter her in the Costume Contest. I’m planning to tweak the sash, raise the leg holes, and make flames to represent her Binary powers. Hopefully that will all be finished by the end of next week! That’s all I’ve got for this month. 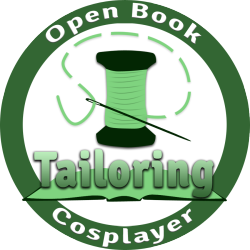 Once these projects are complete, I’m planning to tackle my Halloween costumes (see: slightly modify), another commission, and get started on Ikkicon costumes! 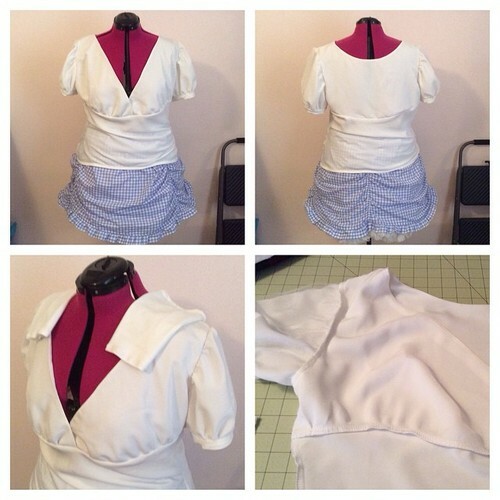 Not going to lie, I’m so ready to be done with Fan Days so that I can get started on Princess Jupiter. That costume needs to be made! Wow, you’ve been busy! I love the variety of costumes you’re working on. And thank goodness the dye solved that spandex issue. Are you going to Anime North Texas? I was thinking of going – it’s the weekend of November 14. I am! I’m helping some friends out with a Deadpool panel on Sunday, but I might go Saturday as well. That’s a busy month! 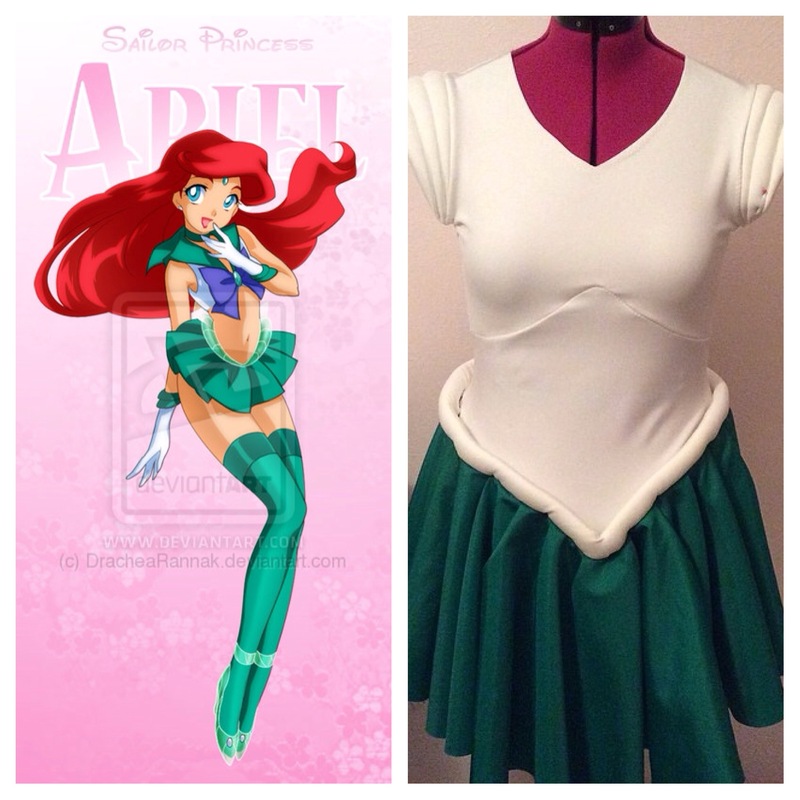 I can’t wait to see the Sailor Ariel costume!